For so many reasons. All of the impossibly wonderful things you hear about him are all true. Because most of my scenes involved him, I had the marvelous experience of getting to know his wit, thoughtfulness and charisma first hand. It was easy to love Miguel. First, it was his eyes—warm, wise, and gentle. Then it was his voice—like the smoothest Scotch poured over jagged rocks. Then it was the stuff he said and the way he listened. Here’s the thing with Miguel: he’s a good guy. A sweetheart. Not a pushover, sharp as a nail—and you could feel it in his hugs; he was the real deal. Twin Peaks was my first professional television acting experience(sometimes I sit and muse about how wild that is), and to say I was nervous and concerned about the quality of my acting (in particular while acting alongside the likes of Miguel and Laura Dern) is wildly understating it. Miguel knew I was a newbie, in a bit over my head, and he made sure to encourage me to keep my spirits high. That was certainly not required of him. But I was damn grateful. It went a long way for me. Once while filming a super intense scene with David, Miguel and Laura, I had the final line that wrapped it up. I delivered it the best I could. David just gave us one maybe two takes for most all the scenes. After we shot, Miguel turned to me and said, “You really did a good job with that line! I saw it in the script and was glad I didn’t have to say it—it was a tough one.” Instantly my anxieties about my performance were lessened. Miguel is king of delivering Albert’s charged, deadpan and often technically complex zingers, and the line he was commending me for was a walk in the park in comparison. But he saw an opportunity to put my mind at ease, and he took that opportunity. Time and time again. There is a work flow on the set of TV shows that everyone who has experience knows. I was not one of those people who knew the drills and it was painfully obvious on occasion. I am a quick study generally, but I was distracted by the fact that I was on set at all, and just trying to take it all in. There were times after a scene was wrapped that the actors were supposed to clear the area and break while the next shot was getting set up. But yours truly would just be awkwardly hanging on set with my wide eyes, heels and skirt suit, as the the crew busybodied around me. Do they still need me? Or am I in the way? More than once Miguel would come up to me after a scene and tell me we could break because he saw I was floundering. Bless his heart! Sometimes we would sit in the actors chairs(they look just like the director’s chairs BTW, who knew?) and chat between scenes. I enjoyed our conversations immensely. I mostly listened because he had such great stories to tell and graciously educated me about fascinating aspects around the early days of Hollywood among other intriguing subjects. The man could make the directions on a shampoo bottle sound riveting, he was industry royalty of the highest pedigree and a magnanimous spirit. I could hardly believe my luck to share time with him. On set Miguel drank water only. No coffee or snacks. He said he didn’t drink alcohol anymore either and he sure missed Scotch. I was impressed with his ability to forgo the craft tables full of easy grab sugar rushes and all-you-can-drink coffee. He didn’t even seem tempted. He was studious and continuously refreshing his lines when he had big scenes. Sometimes David gave him lines to deliver that weren’t in the original script. It was serious pressure and Miguel always handled it with dedication and grace. If I asked Miguel to run lines together he was always game. Miguel was a total pro. Working so close with him was a master class for me in acting and poise. CB, Miguel and David in Twin Peaks: The Return. Miguel was playing a lead character, Owen Granger, on NCIS: Los Angeles while we were filming Twin Peaks : The Return. The absolute only way that David could get Miguel on the show was if the crew agreed to work on Saturdays as his weekdays were taken with his other gig. This crew was already working long hours in a high pressure situation. Weekends are coveted. This was not a welcomed proposition and David couldn’t, wouldn’t force anyone to do it. Everyone had to be on board. But David had a way, and Twin Peaks : The Return had a Destiny, and Miguel was a part of it. Every cast member and crew member were a part of it. We all felt it was something quite special and rare. If there was any degree of push back initially, it soon evaporated. I would bet a bag of gold that not a single crew member or cast member that may have have been disappointed to work a bunch of Saturdays regrets doing it. 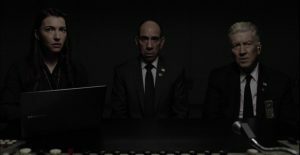 Albert Rosenfield brings something so great and singular to the world of Twin Peaks, and we were all so blessed to create art with him. Saturdays were a minuscule sacrifice. We were given a profound gift. When he talked about his wife, his eyes sparkled. He gushed about how proud he was of the three boys in his life and how much he loved his pets. When he shared anecdotes about his mother—the one and only Rosemary Clooney- I hung on every word. As a child he had no inkling of how “cool” she was and until he was about 19, she was just ‘mom’. I found that utterly fascinating. He spoke of her with reverence, love and some sadness too. He said he’d always loved acting, but the idea of pursuing it and potentially being in the shadow of his father, Jose Ferrer’s, tremendous talent and accomplishments kept him from following that passion early on and he chose music instead. He wouldn’t end up being able to escape his Destiny in film and television for long though, to the benefit of the rest of the world. 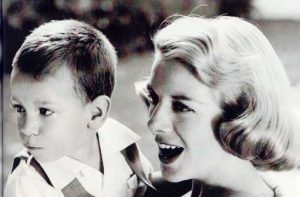 Legendary singer Rosemary Clooney with baby Miguel. His stories about starting out as a musician and playing drums for the likes of Duke Ellington(Duke Ellington!!) and Kieth Moon (Keith Moon!!) were particularly endearing for me, because of my background in music. It seemed as though he was a unfairly blessed to have the gift of music and acting so abundantly, but Miguel was the product of a world class singer and a renowned actor. He got the goods full on from both sides. The thing was, in my experience of Miguel, brief yet poignant, it couldn’t have happened to a nicer guy. I loved seeing how Miguel and David had a soulful connection and deep mutual appreciation and respect. They didn’t spend much time together in everyday reality, but that is perhaps one reason why David put so much energy into bringing Twin Peaks back: because he would get to spend quality time with so many people he was fond of. It was an absolute joy and incredible gift to have been able to share so much time with David and Miguel on set. I did not take one moment of it for granted. I had no idea that Miguel would not be in his body much longer at the time we were filming, but the level of reverence I felt for the opportunity of working with him was inherently present. I looked forward to his good hugs. I loved giving him big smiles after his fantastic deliveries. On set we were pals and also he was a mentor for me, and on the show he was my senior colleague I wanted to impress and I admired him greatly. Albert looked out for Tammy and Miguel looked out for Chrysta Bell. 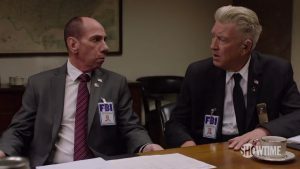 Don’t get me started how the dynamics between the characters in Twin Peaks were so (seemingly mystically) aligned with the people playing the roles – to the degree my mouth hangs open in awe when I think about it. Twin Peaks : The Return and practically everything about it is steeped in cosmic alignment. I think this has everything to do with David being a meditator for more than 40 years. The veil is butterfly- wing- thin between art and reality. And the ice cream on the cherry pie is that Miguel gave a parting gift to the Twin Peaks family and we have it to cherish forever more. I was shocked and deeply saddened when I found out that Miguel had passed on. I kept staring at his picture on the computer screen—his warm, kind eyes. All the memories of his gracious nature flooded me. Compassion for his family to lose such a phenomenal person overwhelmed me. He was one of the good ones. Miguel immortalized as Albert on Twin Peaks and Twin Peaks : The Return is a great comfort and a fitting way to crystalize this wonderful and talented human in pop culture history. Chrysta Bell will miss Miguel dearly, and Tammy will mourn the loss of Albert, and feel lost for a time. Hopefully we’ll all meet again someday. A girl can dream. Let Chrysta Bell know you are out there! A very, very moving tribute to a wonderful man and actor. What a great salute to Miguel. Thanks for sharing your experiences with him, I learned a lot and gained an even deeper appreciation of his talents. His character Albert delivered one of my favorite quotes from the original series. This was a brilliant moment in T.V. history. Wildly unexpected and so great! And Miguel delivered it perfectly of course. thank you for the note Ryan. I’m so happy you enjoyed this post. Thank you CB for sharing your most deep thoughts and feelings about the great Miguel Ferrer and all you have learned from him during shooting TP. Having such a mentor on your first tv show, that is extraordinary but you are all but ordinary. You could have kept all these precious moments with him for you only or your friends and family but you are generosity personified woman and choose to tell us. I realize i enjoy reading you as much as i find delight listening to your music or just admiring your beauty. While watching The Return, I could sense the veil you speak of being breached many times, particularly within the scenes if The Blue Rose group. Characters became vividly real with the feelings of the actors breaking through. You did a magnificent job Chrysta. And I too shall miss Miguel. Grateful that I can still spend time with Albert. For me Miguel was the star of the show – sure Kyle was the lead – and i absolutely adore him as Coop, but i always found Albert the character i most identified with – his humour and deadpan delivery was simply perfection and Miguel arguably had all the best lines of the show. To have had your first acting experience in TPTR must have been a dream come true and I am so glad for you to have had that experience and how wonderful to have had such a great support in Miguel. What a wonderful, heartfelt, tribute to a legendary talent. Albert’s return was one of the many gifts we were given in The Return, the whole experience of the show (including your performance Chrysta) was truly a box of delights. I am deeply moved and touched by your heartfelt tribute to Miguel Ferrer. The loss of him affected me greatly and I have been so thankful that he was (and is) such an integral part of the third season of Twin Peaks. Every scene he graced us with is pure gold and a gift to fans of both Twin Peaks and Miguel in particular. It was a gift and an honor to read your words about Miguel as both an actor and a man. His humanity has always come through his performances but most times fans don’t have the opportunity to get to know actors as people. I enjoyed your work in Twin Peaks and want to particularly mention a few scenes that were particularly noteworthy. Tammy’s interview with Bill Hastings was wonderfully done. It was a very complex scene with multiple layers. I also must mention the smoking scene outside with Gordon and Diane’s tulpa. I could feel Tammy’s discomfort coming through the screen. And simply because of Miguel, the restaurant scene where Tammy directs Gordon’s attention to Albert and his date, the coroner who seems a perfect match for him. Thank you for your work and for so generously sharing your experiences. A very moving tribute, Chrysta. I never got to meet Miguel. He was one of the few TP characters that never visited the studio when I worked with Dave. Never knew he was a drummer either. Thank you for this loving article, and I thought you did great as Tammy P.
That was a magnificent tribute to a wonderful actor, Chrysta. And you were excellent in PEAKS incidentally. I have been a tremendous fan of the show since 1990 and was thrilled it returned. Most of my career has been here in Australia although I worked as a voice expert on a few US projects. I met Miguel briefly in 1999 at a North Hollywood recording studio and he was in a hurry so I let him interrupt my session. He stayed for a half hour talking with me, and when he found out I knew a tremendous amount about his father he was knocked out. 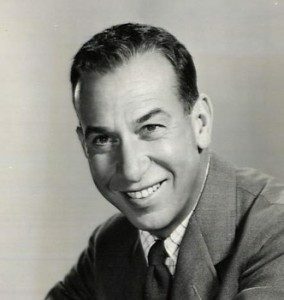 I’m a voice impressionist and when I did a scene with Jose Ferrer and Humphrey Bogart from The Caine Mutiny Miguel stood there with his mouth open. Then he stayed and chatted for another half hour!! I only knew him for about 70 minutes but when I got back to Sydney and told my wife I spent time with Albert Rosenfield, wow!! Was she jealous. What a humble, nice and hugely talented man he was. Thanks for your lovely tribute, Chrysta. This is a beautiful tribute. I have to say The Return is an aesthetic and moral experience to me, the likes of which we don’t get to go through more than a couple of times in life. Thank you for giving us an insight into a great man and a glimpse of how a great actor can give so much, so seamlessly in his lines. And you were great too. You gave us a lovely, deep and powerful Tammy. Some people really make us feel blessed. Just by being in their presence. Those people are generous in spirit and sense how you feel and do their utmost to look after you. Miguel sounds like a gem. Lucky lady. Thanks for sharing your memories, Chrysta. 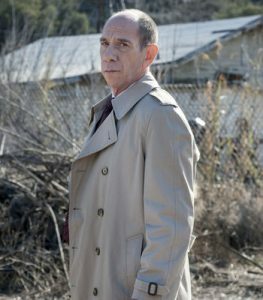 Thank you for it very great tribute returned to Miguel Ferrer. I looked saison3 of Twin Peaks and I found you all phenomenal. I am big one fan of Miguel for more than 20 years. We followed each other mutually on Twitter. Miguel was a friendly man and of a very big generosity. We exchanged tweets with an immense pleasure and in each of them, II could decelerate his humor so particular. I find that he was not unfortunately recognized by its just value in his lifetime. He had an immense talent and his charisma was impressive. His departure for another world profoundly affected me and we miss him a lot. Thanks to you to have to share with us these moments so precious as you shared with Miguel. What a lovely tribute to the man. Thank you very much for sharing this with us. Touching, personal and interesting read. I appreciate your offering this sight into ‘days in the life’ of a new actor (so similar to any ‘new job’ fugue, seems), and I’m intrigued: Miguel must have done his own meditations, or had some other way of applying such self-control on set, to avoid even the coffee! Thanks Tam- I mean, Chrysta. That was a touching and warm portrait that deepens my appreciation for both Miguel and Albert. I just saw this (linked from the Guardian interview). It’s a beautiful tribute. Thank you so much Chrysta Bell for this beautiful tribute! I knew from his first appearance on the original show that Albert had a big role to play – and indeed he did! p.s. : So did you! It is so sad to have to say goodbye to such a wonderful gentleman and fantastic actor way too early. I kind of watched “The Return” with a lump in my throat knowing that Miguel was no longer with us. Also Don Davis and Frank Silva, who I met locally there in Washington. But Catherine Coulson? I remember the first time I met her was at the Holiday Inn in Issaquah, WA in the elevator. She said, “Hi, I’m Cathy.” I said, “Um.” She said, “Isn’t this a beautiful place? How are YOU doing?” Man. So – Chrysta Bell – you are so fortunate to have worked with such wonderful people as Cathy and Miguel, and they are fortunate to have worked with you. And we are all thankful to have seen all of you in “The Return.” THANK YOU! What a beautiful beautiful share, Chrysta. Like all the actors in the original and The Return, you speak with so much heart, clarity and authenticity. As you have worked closely with David maybe you can confirm for us fans that so much of The Return when you pull back the covers was in fact a love letter from David Lynch and Mark Frost to all those who have shared/ are sharing their journey. The names of the most recently passed that come to mind are Miguel, Catherine, Warren, and Harry Dean Stanton. And I have to think on a number of levels David and Mark were acutely aware of the passage of time with the actors they have worked with over the years and just as motivating as the resurrection of Twin Peaks twenty five years later was the opportunity to pay a deephearted tribute to the kind souls who have graced their lives…. creating a new space for your talent and your mates to drink in all existence…as long as we have it in our hands. 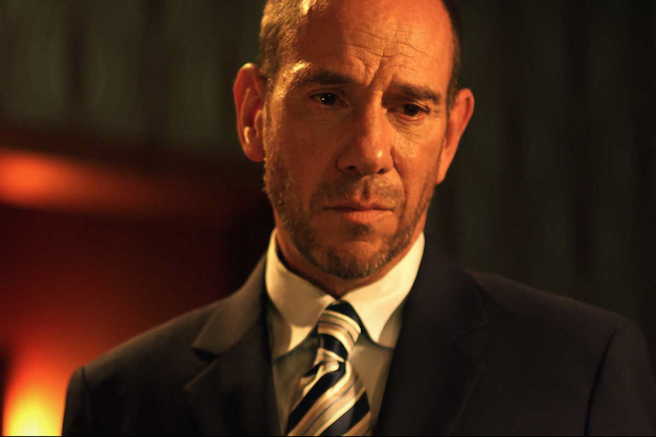 Thank you again for sharing your tribute to Miguel Ferrer with all of us. CB, this was a beautiful post. Albert was one of my favourite characters in Twin Peaks pretty much from his first appearance on screen in season 1. I came to the Twin Peaks universe late (being only six years old when the show originally premiered) but I have harboured a deep, burning, spiritual passion for it since seeing it. Miguel’s performances as Albert were always a highlight. I loved the way he portrayed Albert’s sharp and sarcastic wit; his incredible intelligence, and ultimately his heart. I am truly happy that you got to meet and work with him, and I hope you will share more of your experiences going forward. Thank you.